Former All-Pro center Courtney Hall is now taking on the business world with his JD/MBA from the University of Chicago. There is nothing wrong with professors, but when it comes to sports law issues, who better to ask than a former NFL center turned lawyer? This is why we here at The Legal Blitz were thrilled to catch up with four-time All-Pro lineman Courtney Hall. 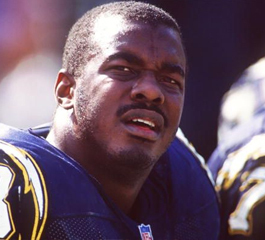 Hall spent eight years as the starting center for the San Diego Chargers, captaining them to the Super Bowl in 1995. He was also a NFL Players Association team representative. After hanging up his cleats, the Rice University graduate headed to the University of Chicago where he earned a JD and MBA. 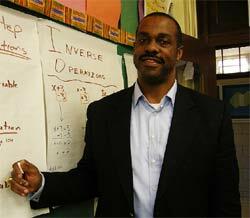 Since then Hall has worked at law firms and in investment banking. He co-founded and is currently Managing Director of Hillcrest Venture Partners. He is also a member of the New York City Campaign Finance Board. You have had tremendous success since retiring from professional sports, but it is no secret that your path does not resemble the majority of professional athletes. Some athletes spend lavishly, only to be left with nothing when their careers end. Others try to invest, but get misled or scammed. What has allowed you to stand out from the bunch? Thank you for the compliment. I am not sure that I necessarily “stand out from the bunch.” There are many ex-athletes doing wonderful things — Martin Mayhew (GM Detroit Lions), Nolan Harrison (Sr. Director NFLPA Former Players Services) and Gary Fencik (Partner, Adams Street Partners) to name a few. (The Wall Street Journal highlighted some too: here). That said, I believe the principal reason for my post-NFL success is that I had a plan in place long before I retired. I made small, safe diversified investments while I played. Once I became more familiar with any one investment, I slowly increased the amount of my investment. This method — minimize my exposure while at the same time take risk — helped maximize investments. Unfortunately, many athletes don’t have the benefit of a sound financial advisor. In addition, the earning potential of most athletes is very limited –- the average player only plays for about four or five years. If they get off to a bad start, many don’t have a chance to make up for those mistakes before they retire from the game and their income reduces significantly. As a follow-up to the first question, how much does education play a role in ensuring post-football success and what can professional sports leagues and/or players unions do differently, if anything, to help their former players? I am a huge proponent of education. Without question, strong educational credentials can create greater opportunities for players after their NFL careers. I think that sports leagues and unions are increasingly realizing that they too have a real role in ensuring that its members have the necessary foundation and have stepped up their player development programs over the years. Of course, there is more to be done, although we have made progress. From a money standpoint, NFL veterans are one some of the few who are eligible for a pension. Do you think other leagues will ever follow this practice? I am not familiar with the pension programs in other sports. Currently, the NFL collective bargaining agreement allows players to vest in their pension after four years (I believe). While some might argue that everyone should automatically be eligible for a pension, I think there will not be enough support for a structure that vests players any sooner. A company that you founded, EXACT Sports, “performs quantitative assessments of the athletic, psychological and neuro-cognitive abilities of high school and collegiate student/athletes.” What exactly is that? Who are your clients? How is the information used? There is a lot of information on EXACT at ExactSports.com. Basically, while getting my JD/MBA, I teamed with a classmate, Barry Tarter, to further develop a concept he had been working on. It is easier to conceptualize it as akin to an SAT of athletic testing. The SAT measures many skills (reading comprehension, writing, logic, etc.). Evaluating a student solely on one factor would not give a true accurate picture of that aptitude of that student. Similarly, success in athletics involves much more than just measuring physical attributes (speed, strength, size, etc.). Most successful athletes have other intangibles that make them elite athletes: psychological make-up; adaptability; confidence, mental acuity, etc.). Measuring all of these attributes allows people to see the true make up of an athlete. Also, it provides a snapshot where the athlete can understand which areas he/she needs to work on. Our tools are used by the National Hockey League, Major League Lacrosse, Major League Soccer, United Soccer Leagues and USL Olympic Development Program, baseball showcases, football camps, professional workouts, and colleges across the country. As a former NFLPA team rep, what do you think of the new CBA and were there any issues you think the players should have fought harder for? All in all, I think it was a very good agreement. Of course it is not a perfect agreement, but it is a sea-change from where we were when I entered the league. Back then, there was no free agency, no revenue sharing, and an insufficient pension program, among other things. I am proud that I was part of a group that helped change the system that is now benefiting many more athletes. I am confident that the current leadership will continue to press for policies and programs that benefit all players, but especially those players who played when there were little, if any, protections in place for them. This has been the year of concussions. Without rehashing a lot of the debate, I’m wondering from a practical, on-field standpoint what can be done to help prevent serious issues as happened to Chargers guard Kris Dielman and Browns quarterback Colt McCoy who both went back in the game after suffering concussions. Should refs be responsible/trained better to spot symptoms? Does there need to be a neutral doctor on each sideline somewhat like the neutral physician in boxing? This is a difficult subject. In the past, players, coaches, team doctors, etc. paid little attention to or were improperly trained to address concussions — that is improving. The reality, however, is that football is a violent sport. Certainly, there are those who might argue that professional players are aware of the dangers of the game, are assuming these risks, and are being compensated accordingly. This is of course debatable and the argument may hold more true for current players than it does for older players who may have been less informed and certainly were not compensated at the numbers we see today. No matter how you fall out on the subject with respect to professional football players, I think it is important to distinguish them from players at the college and high school level. These kids are neither compensated fairly nor truly understand the risks they are bearing. Another hot topic in the NFL is HGH testing. Should there be widespread testing? What would you anticipate are some of the legal issues with drug testing? On a gut level, I’m in favor of testing. However, I must admit that I am not familiar with all of the legal arguments on either side of the issue, so I will punt on this one (pun intended). What are you most proud of about your playing career? For me it would be playing in the Super Bowl in ’95. I had many individual honors in my career but that is something I will always cherish. Be honest, what is tougher: the first year of law school or blocking a NFL defensive lineman? Hahaha … I had many days as a 1L where I wished that I was back in two-a-days. I distinctly remember one of my professors (David Currie) asking students if anyone wanted to fight with him (mentally of course). 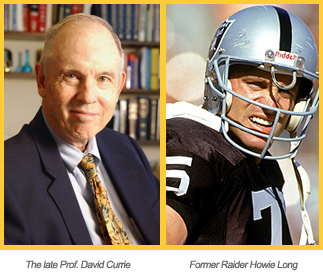 Currie was in his late 80′s at the time and I had no doubts that Howie Long was no match for Professor Currie.